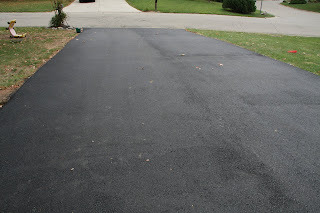 here are the pics of the finished driveway. we had a fun filled weekend lots of pics coming later. i don't feel well and i am going to bed. Looks good! Hope you are feeling better this morning! That looks very nice! So much better than the other. hehe! Sorry you are sick! Blah! Looks perfect for chalk fun! Do you do any of those cool looking crayola chalk kits? 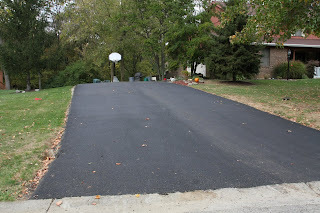 great driveway! you must have worked hard!